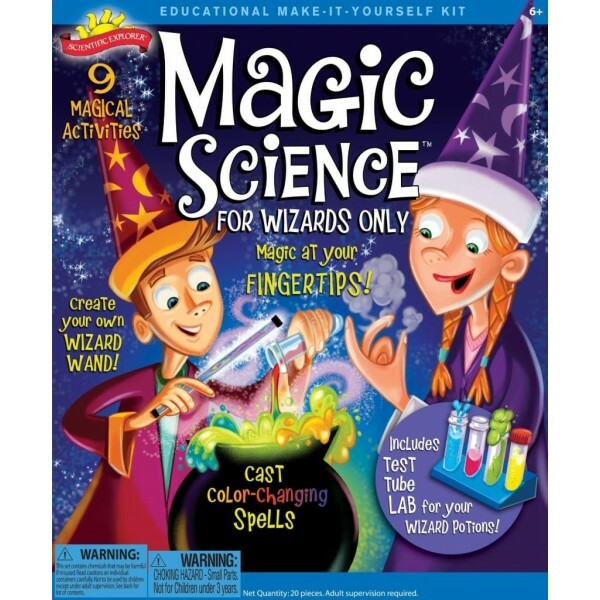 Unleash your inner wizard with this magical science kit! Anyone can learn and perform a magic trick, but a true master magician understands the basics of how magic works and can take that knowledge and create original tricks. 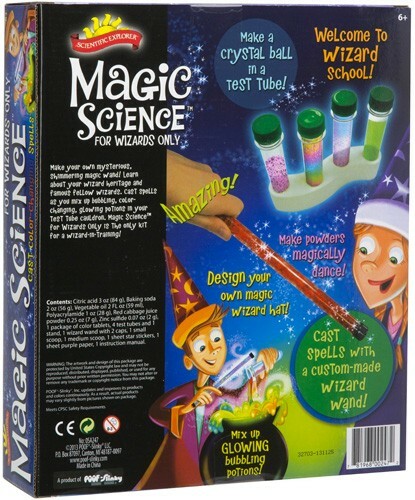 With this kit, you'll create your own wizard wand to cast spells, make your own magic hat, make ordinary powders mystically foam and change color, create your own test tube crystal ball and more! This fun kit will teach you the science behind your favorite magic tricks, which budding magicians can apply to future stunts of their own design. 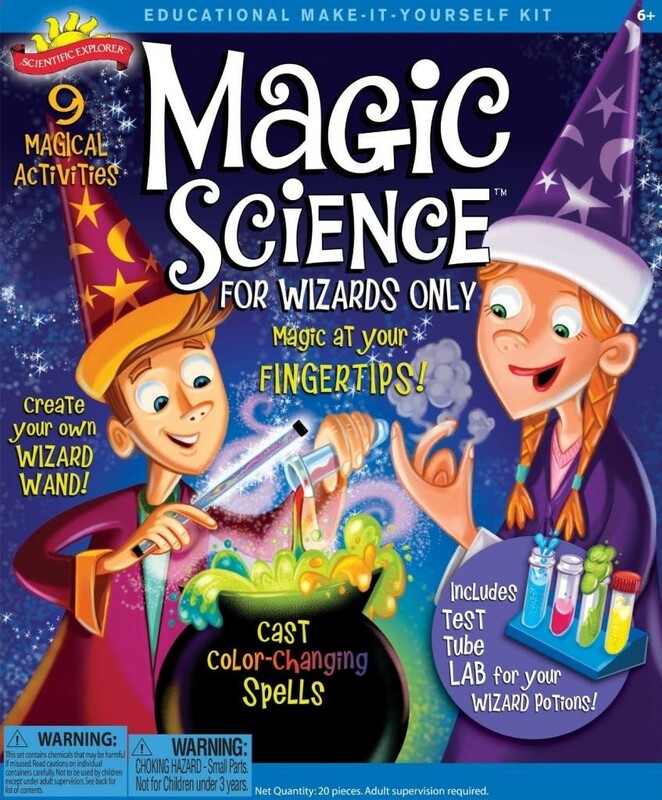 Also included are an instruction booklet with 11 activities, lab equipment, and "mysterious wizard powders" -- only you'll know the secret of what they really are.